After a few years of creating relevant impression, SPICY (@SPICYsings), on the 10th of March, 2013, got signed to an emerging and prospective power house, TOT Records (@TOTrecords). The 19year old songwriter and singer, has had a lot of songs, collaborations and song writing credits to his name. 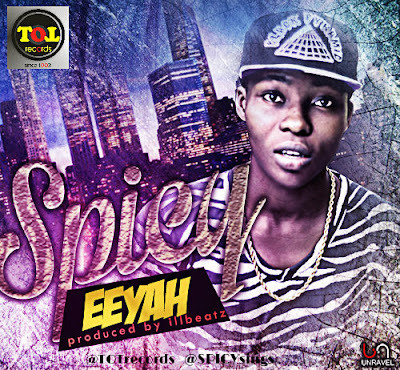 He pulls off this one titled "EEYAH" as his first official single under TOT records; the video is presently being shot and will be premiered on your favourite TV stations and programs very soon. Wondering what EEYAH means??? Well that's the idea!!! Download, listen and be sure to share with friends.